Mahindra & Mahindra signed two MoUs with the Government of Maharashtra — first to invest ₹500 crore in localising electric vehicle components at its Chakan plant and additionally deploying 1,000 electric vehicles in the state over the next one year. In a separate agreement, Tata Motors signed an MoU with the state government to deploy 1,000 EVs in Maharashtra and help the state government in setting up of electric vehicle charging infrastructure along with its sister company Tata Power. “Now, we are investing further in next generation EV technology solutions and are actively engaging with the ecosystem stakeholders, both private and public to drive faster adoption of electric vehicles,” Pawan Goenka, MD, Mahindra & Mahindra said. Under the first MoU, Mahindra & Mahindra will make efforts to become fully electric-ready by further investing in its Chakan plant for manufacturing EVs, e-motor, controller, battery pack and other electric vehicle components for multiple mobility applications related to battery pack assembly of EVs. As part of this expansion plan, the company will invest an additional ₹500 crore. The second MoU underlines the intent to explore a strategic alliance to enable Mahindra to deploy EVs across key cities in Maharashtra. Towards this, both the company and the government will work closely with various fleet partners, taxi aggregators, logistics companies, among others to deploy 1,000 electric cars over the next one year. The first deployment of EVs, as part of the MoU, will see 25 e2oPlus vehicles ported on the Zoomcar platform in Mumbai, on the occasion of World Environment Day on Thursday, the company informed. 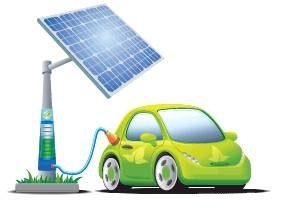 The Maharashtra state government had come out with an Electric Vehicle Policy 2018 which aims to develop manufacturing for EVs, creation of infrastructure, and subsidising consumers as part of its policy.